I was recently discussing music collections with my sister-in-law, as you do. I find that music collections have the ability to bring out the OCD in even the most easy-going of people. For her, what really irritated her was the way iTunes splits albums by track artist. The splitting of albums is a common problem in many different music players, and has many causes. Move the 'featuring' text into the track name, and use a consistent artist tag instead. Use a music tagger to go through each track in an album, cut the 'featuring' text which makes the track artist differ, and paste it into the track name. Ensure all tags for each track in an album, apart from track number and track name, are exactly the same. Again, use a music tagger to comb through each track and make sure the tags are the same, apart from obviously track-specific data such as track name and track number (position in the album). You need to make sure the tags are exactly the same, which means no leading or trailing spaces! Try changing the artist name to something else entirely, then changing back. Sometimes software, being what it is, doesn't always 'connect all the dots', so to speak. Sometimes you need to give it a poke to re-organize things. Try changing the track artist tags for all tracks in an album to something entirely different, then check your music player to see the change (you might need to perform a 'rescan'). 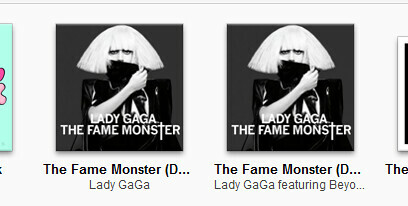 It's possible the album is now grouped, albeit with the wrong artist name. Now change the artist name back to the correct one, and check your player once more. I hope this helps solve your split album woes! If you have any other remedies, I'd like to hear about them in the comments.